I didn’t think it possible to admire the novelist Ursula Le Guin any more or any better than I did. Smitten with her writing, I had subjected three semesters’ worth of college students to her sci-fi classic The Left Hand of Darkness before resigning myself to the fact that most of them weren’t that into it. Learning of her death earlier this year, I felt bereft as if I had lost a close mentor. Thirty years ago, Le Guin took up the very question that animates this space. Are procreation and creative work compatible endeavors? Le Guin used some of the same methods and arrived at many of the same conclusions that I have on this blog. Maybe I should’ve been jealous, that a writer of infinitely more imagination and empathy and power had ranged over similar territory. But I just fell deeper in love. In 1989, The New York Times published an essay by Le Guin titled “The Hand that Rocks the Cradle Writes the Book.” The essay reworked material she had presented in several lectures, and it would reappear in the collection Dancing at the Edge of the World. In the piece, Le Guin targets the myth of the solitary artist. The idea that to do good writing or painting or coding requires withdrawal from the world of relationships, from our human responsibilities to others. Underneath this myth of course is the labor, often female, that enables and sustains such a monastic devotion to craft. 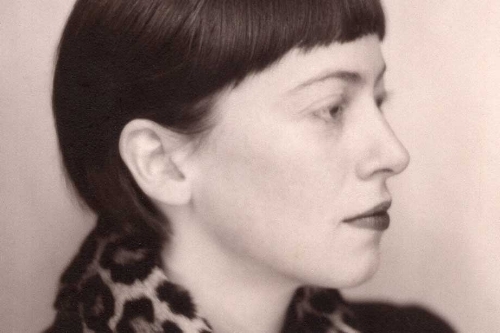 Le Guin, in short, was out hunting “the art monster” – a term that novelist Jenny Offill coined in 2014’s Dept. of Speculation. The art monster is the specter of an unfettered creative life without kids. It haunts Offill’s poet-protagonist after her daughter is born. writers who are mothers haven’t talked much about their motherhood…nor have they talked much about their writing as in any way connected with their parenthood. To fill in the considerable gaps, Le Guin turns to history. She profiles nineteenth century writers like Harriet Beecher Stowe and Margaret Oliphant, who produced ample quantities of both books and babies in their day. [Oliphant] seems to feel that she profited, that her writing profited, from the difficult, obscure chancy connection between the art work and the emotional/manual/managerial complex of skills and tasks called housework, and that to sever that connection would put the writing itself at risk, would make it, in her word, unnatural. To have and bring up kids is to be about as immersed in life as one can be, but it does not always follow that one drowns. A lot of us can swim. Le Guin was in her fifties, with grown children, when she developed that piece for the Times. There’s a practiced assuredness to her argument that belies her vulnerability as a young mother and writer in the late 1950s and ‘60s. Le Guin in Paris, 1954. Le Guin met her future husband, the historian Charles Le Guin, while literally en route to a PhD of her own. She was traveling to France aboard the Queen Mary, to conduct dissertation research on the sixteenth-century poet Jean Lemaire de Belges. But academia had never called to her as powerfully as the fantastical realms within her own mind. So, instead, she married, left the program, and followed Charles to Georgia, then to Idaho, and finally to his tenure-track position at Portland State. Over a period of seven years, Le Guin would give birth to three children: Elisabeth (1957), Caroline (1959), and Theodore (1964). This time was also a prolific one for her writing. She had several short stories published in the early 1960s, followed by a rapid succession of novels in the mid- to late-1960s, including the ground-breaking A Wizard of Earthsea (1968) and The Left Hand of Darkness (1969). Although Ursula was the primary caregiver, she recalls that Charles "undertook fatherhood in the most matter-of-fact way as a completely shared responsibility." This partnership began the day they took Elisabeth home from the hospital, and Le Guin, struggling to put on the diaper correctly, handed the baby to Charles. According to Le Guin, her relationship with Charles "made all the difference to her writing." (Le Guin) found mothering not a waste of her talent, as some feminists suggested, but 'terrifying, empowering, and fiercely demanding on her intelligence.' .... But liking motherhood made her feel unwelcome as a feminist. In an interview with Terry Gross from 1989 (the same year that “The Hand that Rocks the Cradle” appeared), Le Guin articulated her Theory of The Long Game. Le Guin wrote some of her most iconic novels while she was actively raising her children. In the interview, she affirms the desire that some of us have, including Le Guin herself, to do some of each at the same time. She does not suggest that we postpone our art or science or activism or entrepreneurship for decades. “There is a time during one’s life when, if you are responsible for the care of your kids, it is very hard to do other creative work. You have to do it around the edges, in the middle of the night, or you never can get up before your kids, so it’s usually late at night. Or, if you have the money, you hire some kind of baby sitter or some kind of child care. Despite our culture’s emphasis on youth and youthful achievement, there is a future for those of us who don't make it onto our profession's '40 under 40' lists. The potential for rich creative fulfillment doesn’t end with the onset of menopause. To the contrary, those later decades might be when we are most primed and able to act on that potential. I associate Le Guin with the Long Game in yet another sense. Thirty years later, her project of calling attention to and validating the creative work of caregivers remains unfinished. It’s like I’ve got a compulsion to do stuff and anything that gets in the way of that — it’s so painful. Relationships, if they’re not smooth and I don’t have room to work, they’re a torment. I can love people, and I do love people, but I need the space to work. I’ve always needed it but I haven’t always faced the music about how much I need it. So, this stereotype persists, and the silences about alternatives also persist. Earlier this year, the author Lauren Groff made headlines when she refused to answer an interviewer’s question about how she balances work and family until more interviewers start asking that question of male writers. I agree that we need more perspectives from fathers, and I respect and admire her choice: in this case, her silence was a catalyst, the starting point of a conversation. In the past few years, the conversation has started to shift, open up, about these topics. But there's still a lot more to say, many generations' worth of silences to fill. ** Later, Le Guin's stance toward feminism changed, particularly as more explicitly feminist SF writers like Joanna Russ called her out on her reliance on male protagonists. There are still shades of that earlier uneasy relationship, however, in that 1989 essay, as when Le Guin observes that the book-or-babies myth is not just a misogynist one but can also be a feminist one.